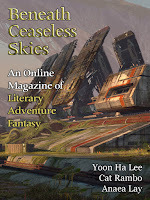 "Foxfire, Foxfire," by Yoon Ha Lee [bio] (edited by Scott H. Andrews), appeared in Beneath Ceaseless Skies issue 194, published on March 3, 2016. Pro: The Tiger Sage told Baedko that to be a human you need to have a human heart. Even on the eve of his 100th kill, Baedko clearly did not, and he didn't even realize it. The casual way he approached his 100th murder was enough to tell us this by itself. But during the encounter with Jong, Baedko really does change. He acquires her heart--figuratively and literally. The 100th kill, the one that made him human, was the only one given willingly. The Tiger Sage sees this when she declines to punish him for breaking his oath. She knows that the oath isn't really broken at all; Jong is inside Baedko, and he will bring her to her destination, as promised. Nicely done. It's worth mentioning that the author does a good job of educating us about this very complex world without ever descending to infodumps nor leaving us very confused. Con: Although we applaud the cleverness of the story, it leaves us emotionally unengaged somehow. We neither mourn Jong nor cheer Baedko at the end. 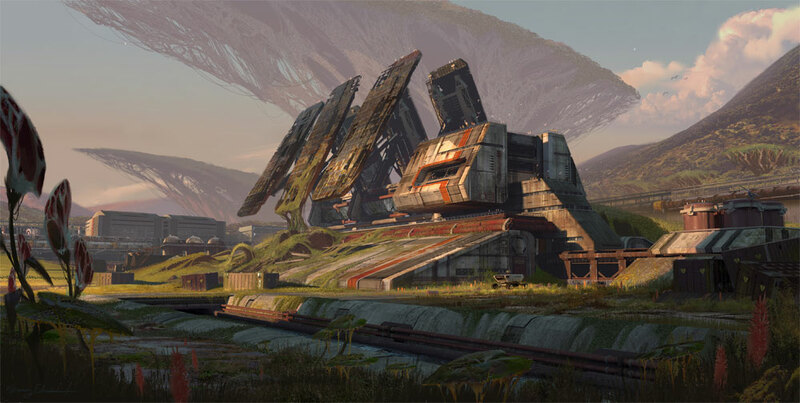 I liked this quite a bit, but primarily for the really fresh and interesting worldbuilding. The story was technically complete, but I felt like it was setting up for more. I could imagine more stories in the same universe, for sure, but it's hard to see more stories with the same characters. Becoming human has surely changed Baedko enough to not really be the same character, right? I think the story of a fox-turned-human, adjusting to humanity with the specific constraint and range of one hundred people - no more, no less - could be a fascinating one. You know, I could see that working AND not requiring the reader to have read this story first. Oh, yeah. Totally different story. Related, but wouldn't have to be a "sequel". To be honest, part of why I love this is because "Fox who kills one hundred humans in order to become one (and, oh yeah, absorbs those people's life and abilities)" is such a beautiful, weird premise, that you could write a hundred stories about it, all different. 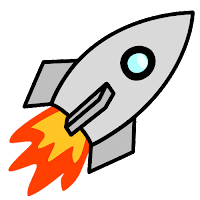 It just has several different promises it's making, which an author could take in some really interesting directions. Really enjoyed the seamless combination of ancient (nine-tailed fox) and modern (battle mech) Asian cultural influences.